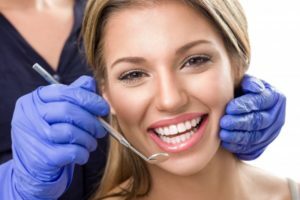 If you’ve avoided getting the dental work that your smile needs to stay healthy for years to come, sedation dentistry may be something that you should consider for your next appointment. Sometimes, patients can be too fearful of the dentist or anticipated pain that they never receive dental care that would actually ward off dental problems. Right—it’s backward. Thankfully, your sedation dentist in North Dallas offers heavier forms of sedation to help literally anyone get the oral health care they really need. Learn more by reading below! If you need a heavier sedative to help you receive the care you need, IV sedation may be for you. It’s a strong sedative that must be administered by an anesthesiologist and safely monitored as patients may drift out of consciousness. IV sedation involves administering a sedative through a vein, allowing the medication to work very quickly. Since it’s administered intravenously, the dentist is able to adjust the level of IV sedation as needed for the procedure. This makes it easy to tailor the amount of sedative used to the specific patient, reducing the risk of complications and side effects. Why Should You Consider Getting IV Sedation? The high level of sedation so that you can get the care that you need without fear of pain—you literally won’t feel a thing! Since it’s administered by IV, it works extremely fast. The recovery time is reasonable, shorter than that of general anesthesia. Severely anxious patients can feel completely calm during their appointments. Patients rarely remember the procedure, which is much better than having a negative dental experience. Diminishes the gag reflex, so that you can receive the care you need without discomfort. This is the strongest form of sedation that your dentist offers. General anesthesia generally uses a combination of inhaled gasses and intravenous medications to make patients completely unconscious. This means that patients will be unable to respond or feel any pain during a medical procedure. This may be scary to think about, but the whole appointment is monitored by professionals. Your sedation is also adjusted as needed. It’s not often used unless necessary because your dentist prefers that you’re able to communicate on some level, even when you’re sedated. If you have a low tolerance for pain and/or if you have a high tolerance to medication, so other forms of sedation may not work for you. Extremely anxious patients may benefit from general anesthesia because they will not be conscious. For extensive dental procedures, like surgical procedures, general anesthesia can ensure that you won’t be in pain during your appointment. General anesthesia may be recommended when patients must undergo multiple treatments and procedures at once. If you still have questions about sedation options and which may be best for you, it’s best to call your local dentist to discuss your needs. Here at Kwon Dental, patient comfort is a top priority in our office. No matter what kind of dental work you may need to have completed, we want to make sure that your dental experience with us is always a positive one.